Find The Emoji Answers | Find The Emoji Cheats | All cheats and solutions for Find The Emoji game. 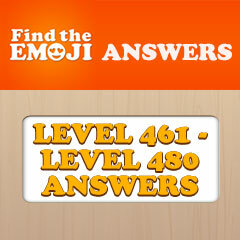 Find The Emoji Answers for all levels and puzzles. Find The Emoji is an original take on the very popular Guess The Emoji games that have filled the mobile gaming charts over the past year. 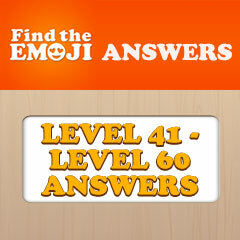 Instead of spelling out the words that the Emojis represent, in Find The Emoji, you are given the word or phrase and you have to pick the Emojis and put them in the correct order. It's a very fun game and it's actually much easier than other Emoji based games. Still, some of the levels can be quite tricky. Specifically on some levels where you may choose the correct Emojis, but may not be able to find the right order to place them in. That's where we come in. 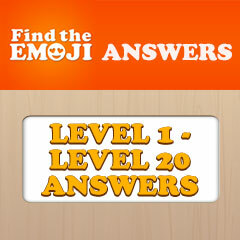 Find The Emoji is the best fan community for this game. We've gone through and solved all the levels and are providing them here for you to use, when you've run out of coins for helps within the game. Find The Emoji Answers | Find The Emoji Cheats This site is not endorsed by or affiliated with Candywriter, LLC.